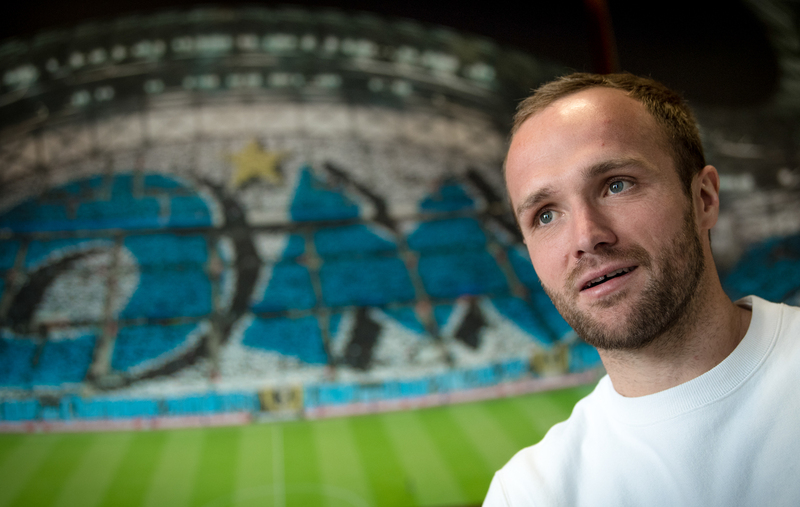 Interview with Valère Germain : "OM, only OM"
Many children dream of Real Madrid, Bayern Munich, Barcelona, Manchester United… well, I’ve always dreamed of OM. I was born in Marseille and like everybody here, I’ve got the club in my blood. It’s a unique feeling, a special connection – all the more so solid as my father Bruno played for OM during his career, in one of the most prestigious eras in the history of the club [1989–1991], maybe even the most beautiful one to date. I spent the first years of my childhood in Marseille, my Dad would sometimes take me to the trainings at the Vélodrome stadium, on the days after the matches. Back then, you could meet Carlos Mozer, Chris Waddle, Jean-Pierre Papin!… I was just walking around amongst of all these stars! And even though I did not really spend so much time in Marseille back then, only three or four years I think, I’ve always felt “Marseillais”. OM is my great passion, for what this club represents as much as for the fantastic players who have developed here every season. And I was just like any other young fan: my bedroom was decked out in blue and white, posters were everywhere on the walls, and I went to football training wearing my OM jersey, even when I was playing at the Orleans football club or at school. Every birthday, every Christmas, I used to ask for the OM jersey as a gift, so I could go to football practise with my new outfit. I was so proud! And so were my parents! Truth be told, OM was my favourite topic to discuss at home, because the club had made such an incredible impression on my Dad. He spent the best years of his professional career in Marseille, winning several trophies and creating unforgettable memories. Missing a match on TV was simply out of the question! It was so good when we won a match, because the next day I could go to school so proud and so happy. On the other hand, with some of my classmates supporting other teams, you can imagine the nightmare it was for me the day after a defeat. Luckily for me, it didn’t happen too often! OM won its way through to the UEFA Cup final in 1999. Unfortunately, we lost against Parma (3-0). I was just seven or eight years old back then. The first good memories that I have of OM go back to the early 2000’s. I particularly remember Didier Drogba’s achievements. I was such a fan that I had his poster on the wall in my bedroom in Orleans. At that moment, I was living my passion fully. I was so happy to be there, to be in the stadium for the 4th final in the history of the club, even though, like all the OM fans who had came all the way to Sweden, I would have preferred that the outcome of the game to have been different. Growing up, I also developed confidence on the football pitch. After US Orléans, I spent one year at the Football Academy of Châteauroux. Six months later, I joined AS Monaco, which was famous for nurturing young players. Not too long after that though, I heard that OM was interested in recruiting me. My own club wanted me! Could you believe it!? During the spring that same year, I played against Chateauroux in the U14 National Cup. My dad was there, just like many parents of players… and then I saw José Anigo! José Anigo, the OM Sporting Director at the time, was there in the stadium. He told my dad that he liked my profile and found my style interesting and he wished I could join Olympique de Marseille! He talked about all that with my dad, who responded that, unfortunately, I had just signed with AS Monaco. My dad, a quiet man who has never gotten involved in transfers, told him that, out of respect for AS Monaco, it was not up to him to make a move first. Unfortunately for me. When I learned that, I was so disappointed, because I could have worn my club’s jersey right there! Even though I knew how good the AS Monaco Academy was, it felt like a real shame. I can admit today that if this opportunity had presented itself sooner, I would have probably picked my club with my heart, and would have gone to Marseille. Finally, I waited a few years before I could realize my childhood dream. But I also know it was the right time to come here to Marseille after the season, so I did. I also know if I had not played at that club, I would have missed something in my career. Especially since today, I arrive every morning for training, I am both moved and proud to see that I am taking the same path as my father. Thirty years later, I have the same life as he had, I wear the same shirt he used to wear, with the same satisfaction. I train on the same football grounds and I play in the same stadium. All those things make our bond even stronger, even more concrete. Ironically, this may cause him a little more stress when he watches OM matches today than when it was him playing thirty years ago. My father was lucky enough to play in one of the greatest teams in the history of the club, to win many trophies, to experience such thrilling events. He talks about it from time to time, especially when I start asking him questions about that time. Sometimes, some people on the streets of Marseille come up to me and say: “I took the same photo with your father years ago! Congratulations, very well done. You make us very happy!” or “Please say hi to your dad, he was such an incredible player back then!”. I was probably just as lucky as the Ayew brothers (André and Jordan) with their dad Abedi Pelé: lucky that he and my father were part of such a successful team that won everything. For the fans, having seen the Germain name and Ayew again brings back great memories from the club, and that makes people extremely proud. That also carries a lot of expectations too! But I knew everything would be alright, even when I play a few matches without scoring a goal. When I was at the AS Monaco Academy, before becoming a professional football player, there were a few of us who supported OM. We’d meet regularly to watch matches together or to even make the trip to Marseille for the Champions League on Tuesdays or Wednesdays. 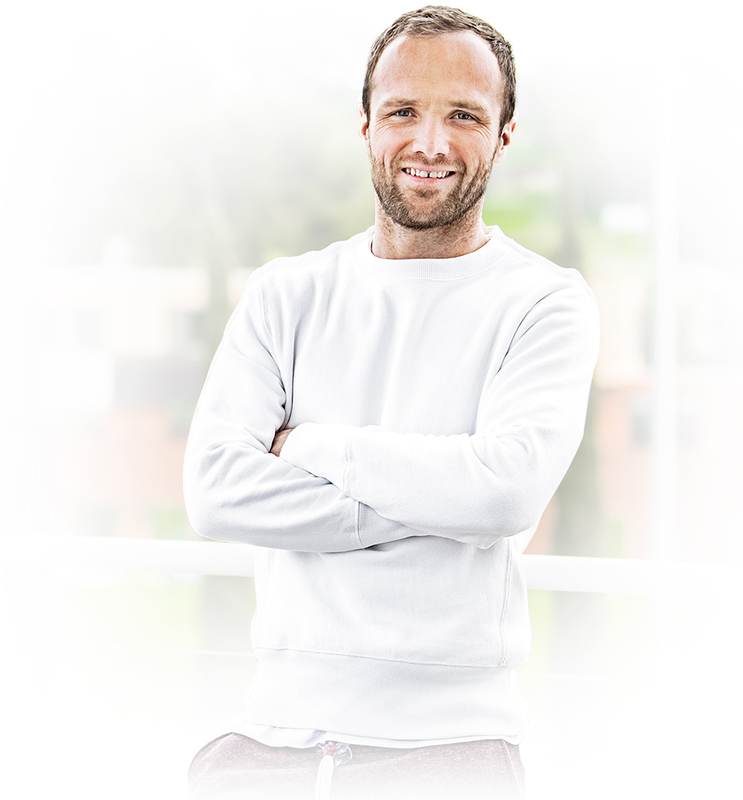 We left directly after training – our coach back then was fine with it. We used to get seats at the Vélodrome stadium, behind the goals, on the Ganay or on the Jean-Bouin end, depending on the match. We were at the stadium that 5th May 2010 when we became French champions, winning 3-1 against Rennes. I remember it clearly because we had bought our tickets for the match more than two weeks before, and we were really hoping OM would not be crowned champion before that match. It was five or six of us friends, on the Ganay end. It started to rain during the second half, but OM managed to win it, thanks to the goals of Gabriel Heinze, Mamadou Niang, and Lucho Gonzalez. It was magic! OM had not been French Champions since 1992, it was absolutely crazy! Of course, the same team had already won the French League Cup only a few weeks before (“Coupe de la Ligue”; 3-1 against Bordeaux), but still: what an incredible night that was!